New: Moon Garden Aromatherapy Essences! We’re delighted to introduce Moon Garden Essences, created by Anastasia Haysler. Each aromatherapy essence is made using organic herbs and flowers. Each essence is steeped during the moon cycle which enhances its attributes, and absorbs both the light of the moon and the sun as it processes. 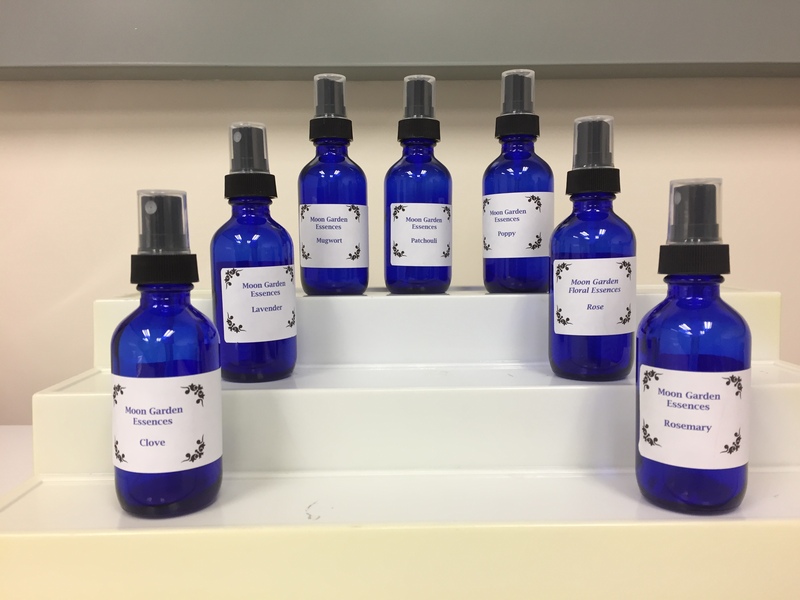 Unlike essential oils or synthetic fragrances, Moon Garden aromatherapy essences are a light scent, suitable for use indoors. The essences offer a convenient alternative to burning incense or relying on synthetic scents, both of which may trigger allergic reactions and/or fire alarms. We use a tiny amount of potassium sorbate as a mild preservative. Even though it’s a food-grade preservative, please do not ingest the essences. They are for external use only. The line currently features seven scents: Clove, Lavender, Mugwort, Patchouli, Poppy, Red Rose, and Rosemary. Head over to our web store to shop now!